Not only are some members bent on depriving the citizens of this state, and the country for that matter, of a healthy, delicious product, they are destroying a way of life for many coastal North Carolina communities. And for what, so that others can catch a couple of more fish on their fishing trips? Who is anyone on this committee (Marine Fisheries Study Committee) to decide which industries are winners and which are losers? Would you say to the North Carolina furniture makers that they cannot use any more wood in their product because the pulp industry in the state is more profitable than the furniture industry? Of course not. You have no right to choose winners and losers. When government picks winners and losers, we all lose. If you support this bill, I strongly urge your to reconsider. Sit down and talk to our fishermen, hear what they have to say. You are being manipulated by the CCA who have an agenda that goes far beyond this bill. Educate yourself. Don’t be deceived. 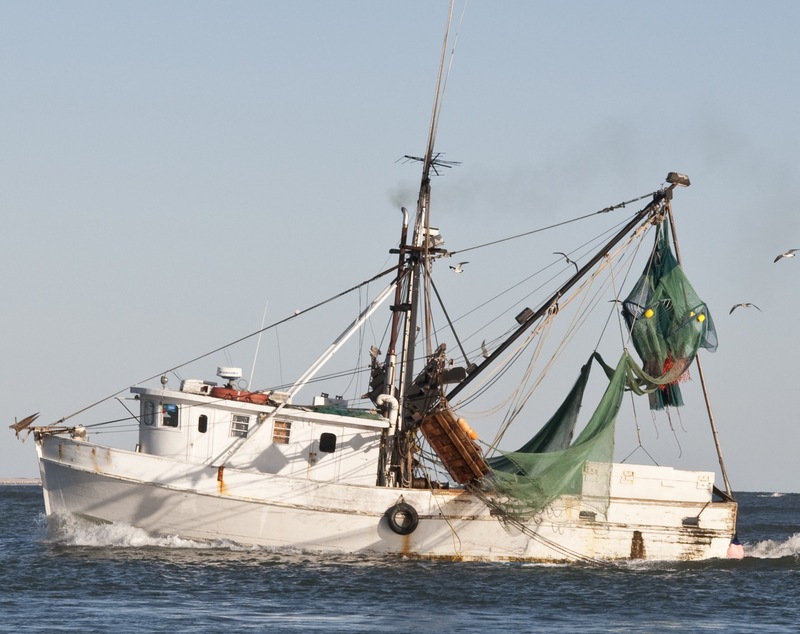 I will happily help you arrange to meet with some of our commercial fishermen in Dare County so you can see firsthand the effects of an already over-regulated industry that is on the brink of extinction thanks to the CCA. If you oppose this bill, I thank you for standing up for what is right, for educating yourself and thinking for yourself and for not choosing winners and losers. The Gamefish Bill, HB 353, is a bill that will classify several categories of fish as recreational fish only, preventing our fishermen from being able to catch them. Read more about this bill here and here. See how people in FL have been battling the CCA over these issues for more than a decade here. It is really hard to find any opposition to this bill online. The CCA dominates the blogs and the mainstream press stories. You can help oppose this bill by emailing the members of the General Assembly below. The Marine Fisheries Study Committee was set up to study this issue. The committee met last week and will meet again on February 2, 2012, March 1, 2012, and April 5, 2012. Each meeting will begin at 1pm and end at 4pm in Room 643 of the Legislative Office Building. CCA-NC will be a strong presence before this committee and will continue to provide deceptive data to the legislators supporting game fish legislation. D Knight, you have a lot of homework to do. It is obvious from your comment that those 3 fish are not caught by our local fishermen that you are NOT qualified to express your opinion on any fishery issue. First off D’Ambra as a Commisssioner you would not have an effect on this bill. I love how when people run for a particular office like for out local commissioner office they think they can have an affect on other areas of the state wrong!!! Yada yada yada I am so sick of people that read a bill and think they know it all. What a Joke as usual!! These 3 fish aren’t even caught by “our local” fisherman and I wonder why certain people and groups are so concerned anyway??? These 3 fish need to be watched so we can make sure that the 100,000 people who come here to fish will still want to come to the Outer Banks and fish and spend money and stay in our local hotels and houses and visit our local shops or we will ALL BE HURTING FINACIALLY!! They will destroy one man’s business for another man’s business. This government is to be feared. I am opposed to the enviromentalist movement but maybe Mr. White would have no problem with locking down all development on OBX to favor the preservation of the OBX for posterity. Hey, the birdwatchers and turtle enthusiasts will surely be an industry in itself. Please follow this link for a great piece by WRAL. If I am elected I will take my experience in developing new and innovative grant programs tho help these heroes in our community! Our neighbors in Wanchese have worked too hard and have been a stable framework for our community for too long to allow this vital link to just close up! I have spoken with many of the good folks in Wanchese who provide us with our good and safe seafood, They have been well underrepresented by our local governmental body. We must be relentless in having continual, effective, and a constant reminder to those who hold the purse strings that this vital interest cannot close. That means we need people in local government who have practical experience in local government and a proven track record ability to get needed funding from federal and state resources. I have this experience. Beyond this issue these folks have had to deal with unrelenting federal regulation on catch limits, types of species that they can fish from their waters. Contrary to popular belief on the state and federal level, these folks know how to self regulate to ensure that the delicate balance between catch and replenishment is kept in check. Does anyone actually believe that these fishermen and the folks who manage the fish houses would do anything to hurt the environment that they count on for their very survival? I think not! It is high time that both from a grass roots effort and through good leadership on the Dare County Commission we can both find the necessary funds to keep the inlet open and eliminate the over burden of nonsense regulation in the name of environmental management. Commissioners please! Provide tenacious leadership or move over so people who can help, can work with these professionals who put food on my table and finally get the job done! Hey Francis did your faith and life experiences tell you to try to slip into the football game that nite by pretending to be a police officer so you wouldn’t have to pay? You’ve always been a self-serving hypotite.